The proposed Eagle River Park plan includes four instream wave features, which have been permitted through the U.S. Army Corps of Engineers. EAGLE — When longtime resident Eric Moser looks at the construction site for the new Eagle River Park, he notices what’s missing more than what is being built. He isn’t happy about what he is seeing. 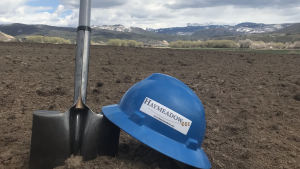 Officials from Colorado Parks and Wildlife echo Mosher’s consternation, not only about the diversion but also about the project’s overall design. 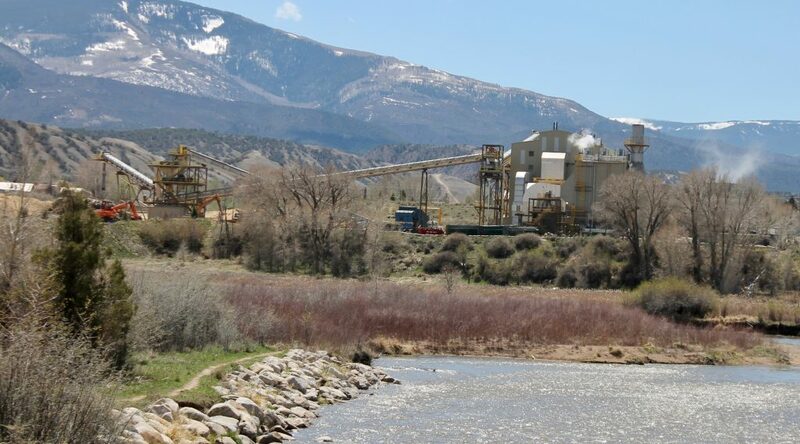 “We are more than a little concerned about the effect to the fishery that will occur because of this project,” said Kendall Bakich, Colorado Parks and Wildlife aquatic biologist. 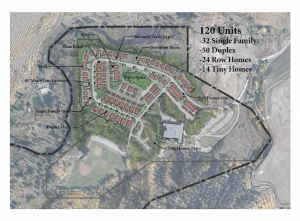 When Eagle embarked on planning for its whitewater park, located east of the Eagle County Fairgrounds on property the county owns, a U.S. Army Corps of Engineers 404 permit was required for the project. The town worked with a consulting firm — S2O — to design the wave features, and that plan was then presented to the Corps for permit review. The project’s 404 permit was approved on Dec. 21, 2017. During its review of the project, the Corps presented the plan to Colorado Parks and Wildlife as a referral agency. Bakich said Colorado Parks and Wildlife offered input on the design and identified concerns with the proposal. As construction entered its second season at the site, Bakich questioned whether the town complied with all of the conditions in its 404 permit. Matt Montgomery, of the Grand Junction office of the U.S. Army Corps of Engineers, says the town has. Laurie Martin, senior aquatic biologist for the Colorado Parks and Wildlife’s northwest region, concurred. 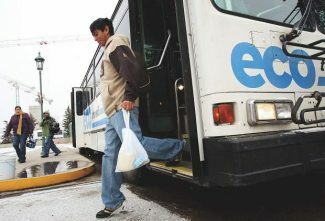 She noted that communications within the Colorado Parks and Wildlife as well as communications between the Corps and the state led to come confusion regarding the particulars of the permit. The town of Eagle is even more emphatic that it has complied with its 404 permit parameters. “The town of Eagle has constructed the whitewater features to the exact dimensions, elevations and with materials specified in the design package approved as part of the U.S. Army Corps of Engineers 404 permit,” reads an official response from the town, submitted Monday, Oct. 29. But beyond the scope of the 404 permit compliance issue, Bakich maintains there are riparian habitat concerns resulting from the water park construction. Those concerns fall into two general categories: issues with the river diversion during construction and issues with the wave feature design. As construction crews work in the riverbed to build the structures that will eventually become the wave features at the park, the water has been channeled away from the area into a culvert that deposits downstream from the site. The culvert is located several feet above the riverbed. Montgomery said the culvert diversion has prompted discussions, but alternative solutions result in other issues for the project. “While the current situation is certainly not ideal, it is not in non-compliance at this time,” Montgomery said. Town officials maintain the Corps approved the “submitted dewatering method” in February of this year, concluding the proposal would not result in additional adverse effect to the aquatic environment. “The dewatering plan submitted to U.S. Army Corps of Engineers did not include elevations for the dewatering bypass channel. Elevations were not requested at the time of submission and were not discussed before dewatering began on Phase 2,” reads the town’s statement. Beyond the impact while the project is under construction, Bakich is worried about the ongoing effects for fish. The town says the notch is there and it reflects the permitted design. What’s more, the town said S2O conducted a field study of velocities through the features that were built last year. “The measured velocities were found to be in compliance with the permitted design and results were submitted to the regulatory agencies for review. Additionally, the fish passage construction and grout hold backs meet or exceed the permitted plan and are roughened to provide a movement corridor for fish,” reads the town statement. 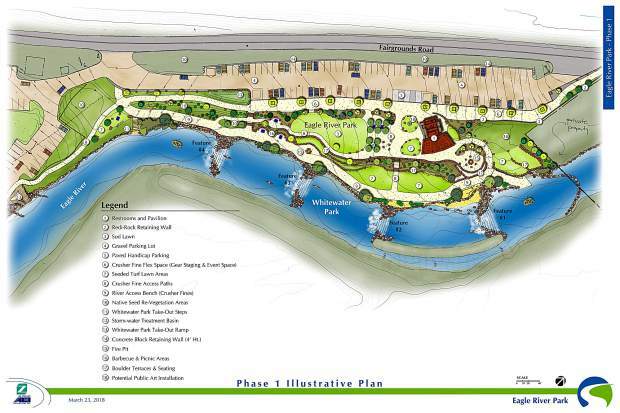 Part of the communications issues regarding the permit include questions regarding Colorado Parks and Wildlife’s opportunity to comment on the final design that was installed. But even if Colorado Parks and Wildlife had provided recommendations, the Corps is not mandated to enforce them. The Corps is the permitting agency, and it is the entity that made the final design decisions. Although Colorado Parks and Wildlife officials questioned both design and diversion actions at the park, town representatives said they consider Colorado Parks and Wildlife to be an important partner in the Eagle River Park project. Mosher agreed that protection of the river should be the town’s top priority.